In physics, particles moving fast translate to a hot collection of particles (think of them bouncing hard on your skin and warming it up) and particles moving slow means a cold object (or gas). Moving fast means they emit high energy light, and slow, low energy light. Perfect! So take pen and paper, measure the average temperature inside with a thermometer and pick a distribution of speeds around the average. This should describe all the speeds in the box and thus the colors and energies. Peek again, check the colors, … did you get it right? 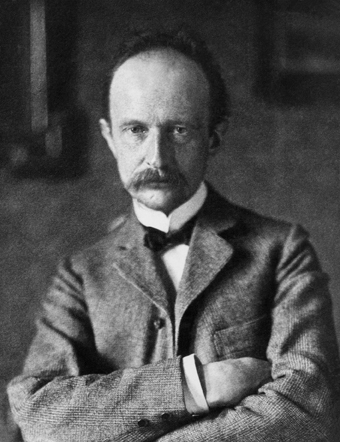 Max Planck, the piano player, didn’t. The proportion of colours was not at all what he expected. But even worse, his pen and paper calculation said that some particles would have infinite speeds to match the average and median temperature. With deep mathematical trickery and insight, he invented a new probability distribution which perfectly matched the colors, the speeds, and the temperature. The rub? He had to trash all previously known physics in the process. What was the gross violation? Well … let’s see what quantised speeds actually mean because it’s a lot weirder than it sounds. push a little harder on the pedals. But nothing happens. You push, push, push … and yet you’re still going at 3m/s. You try a little harder … and suddenly, BAM! You’re going at 5m/s. You push a little harder, harder … and nothing happens. Then, all of a sudden, POW! You’re at 7m/s. Interestingly you never went at 4m/s or 6m/s or even 4.32m/s or 5.01m/s. You went straight from 3 to 5 and straight to 7. You try to break … and KABOOM! you’re at 3m/s again. This was exactly how ‘quantum’ physics was born (quanta means a piece, a given quantity that is indivisible). The oven was giving funny colors for the given temperature. So a physicist invented some rules and the calculation turned out to match the colors exquisitely. The rule said: particles can only go at 2m/s, 4m/s, 6m/s, etc … but they never, ever go at 3m/s, 1.45m/s or 45.32m/s. Those speeds are forbidden and never occur in nature 1. It was 1900, and the whole world believed particles behaved like tiny billiard balls … but analysing the light in that oven opened a door that would change Physics forever. It was later found that speed is not the only thing which has these fobidden values. Other quantised magnitudes are Energy, position, spinning speed. Regarding forbidden positions, you know that a 100kg lead ball one meter above the ground has less destructive power than one 100 meters above your head. It’s called the potential energy (the further an object is from the earth the more potential energy it has). But quantum ones have rules like: You can only be at 10m, 15m, 20m, 15m from the floor … but never at 11m or 15.3m 2. How could this be? Plank, to be honest, wasn’t quite sure what to make of his hypothesis. The distances and speeds were so small, that he assumed he was missing some subtlety. It turns out he wasn’t … but it would take 8 years for anyone to notice. We’ll explore that discovery in the second part of this story. note that the actual jumps in momentum (speed x mass) for atoms is very small. 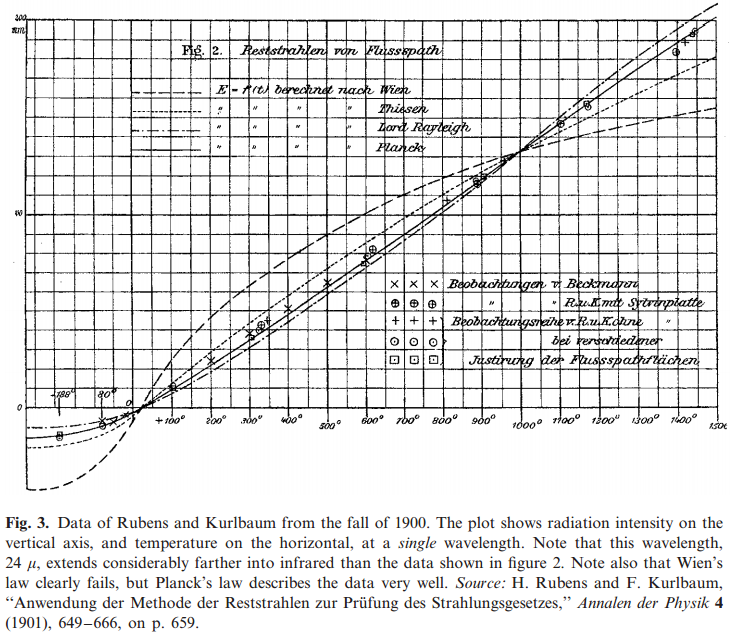 Radiation as a function of the temperature in the oven, 115 years ago.